Anne Kovalainen, Professor at the Entreprenurship Unit contributes a business and society perspective to DF events and activity. 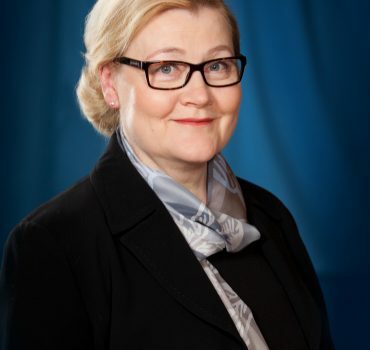 She has held the Academy of Finland Minna Canth Professorship in 2010-2014, and has been a visiting faculty fellow at the Stanford University Michelle R. Clayman Gender Institute, at the LSE, Massachusetts University and at Roskilde University. She has worked as a visiting professor at the Gender Institute at the London School of Economics and Political Science, as well as at University of Technology in Sydney, Australia, and at Kingston University, UK. In addition to her participation in Digital Futures, Anne heads the Academy of Finland Strategic Research Council consortium SWiPE – Smart Work in Platform Economy, as well as the University of Turku Strategic Project Knowledge Governance. Tuomas Mylly functions as professor of European Economic Law. He is also Director of the Master’s Degree Programme in Law and Information Society (LIS). He has graduated from the Faculty of Law at the University of Turku in 1995 (LL.M.). After this, he studied in an EU Law Master’s Degree Program at Stockholm University (LL.M.Eur.). He completed his doctoral studies in law in January 2010 (LL.D.). He has previously served as a visiting scholar at the Kyushu University in Japan, worked as professor of international law and European law, as well as a lawyer in a law firm and legal counsel at Nokia Corporation. His research focuses on the information economy and more broadly the regulation of the information society. His research has involved intellectual property, competition and European law. His current research interest relates to constitutional protection of intellectual property in the EU and globally, as well as the regulation of the platform society and algorithmic decision-making. Risto Kalliola is a professor and the head of department in the Department of Geography and Geology. He has a strong interest in developing education and research related to geospatial information and geographic information systems (GIS) in the University of Turku. His research interests range from research in Finnish coastal waters to the tropical forests in Amazonia. 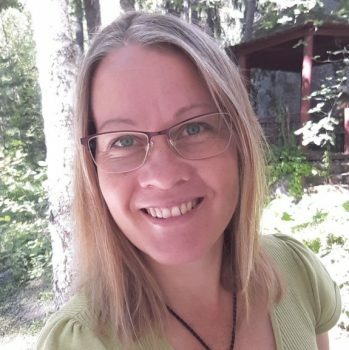 Niina Käyhkö is an Associate Professor in Digital Geospatial Research at the Department of Geography and Geology. Her research expertise lies in digital geospatial technologies and their application potential in various sectors of the society. She is specifically interested in societal impacts of location technologies and combined uses of digital geospatial data. Her research tackles, for example with novel methods in land and natural resource mapping and spatial planning. During the last decade, her work has been intensive in the rapidly developing countries, such as Tanzania, where digitalization has enabled development of novel Earth Observation and geospatial analysis methods with life quality impacts. Studying geospatial innovation developments and their impacts as a comparison between Global North and South are close to her interests. She enjoys working in the science-practice interface seeking for societal impacts from digital geospatial research. This involves research work on how to develop novel geospatial methods for practical needs in the society and how to measure their long-term impacts. Juha Lavapuro is Professor of Public law at the faculty of law of the University of Turku. His research interests have focused on constitutional and human rights, comparative constitutionalism and constitutional theory. His earlier publications have covered issues such as new forms of judicial review, critique of judicial review, and constitutional managerialism. Currently, he focuses on the constitutional and human rights related aspects of digital futures, including questions related to protection of personal data. During 2015-2018 he worked as principal investigator of Finnish Academy funded research project Legislated Security and the Impact of European and Constitutional Rights. 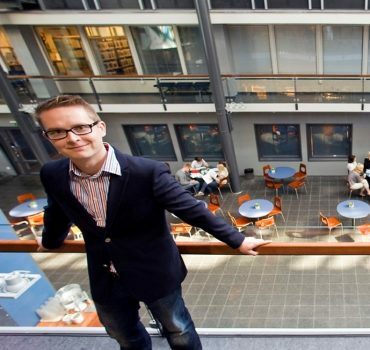 He is also the leader of Business Finland-funded research project ”Making MyData Real”. He is the director of the Master’s Degree Programme in Law and Information Society in which he is responsible teacher for several courses. Juha Lavapuro works as an expert in the Finnish team of the EU Fundamental Rights Agency’s multidisciplinary research network FRANET. He is member of Equality and non-discrimination tribunal of Finland, and a member of the board of Finnish association of constitutional law. He is also one of the regularly heard experts of the Constitutional Law Committee of Parliament. He has provided numerous expert opinions for instance in the issues pertaining to surveillance legislation and data protection. 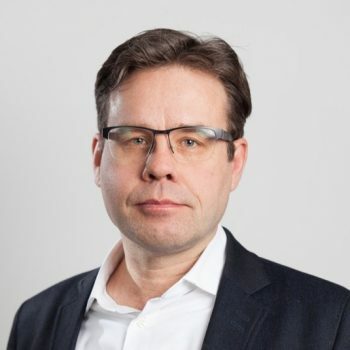 Matti Mäntymäki is an Assistant Professor of Information Systems Science at Turku School of Economics. His research interests focus of social and psychological aspects of digital technologies and digital economy. His recent research activities have covered themes as such as duality of self-presentation in social networking sites, blockchain splits, and crowdsourced hamburgers, among others. 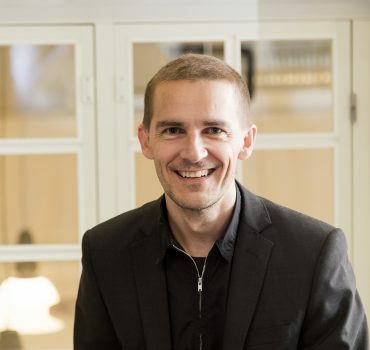 Matti is the Principal Investigator of VIRPA D research project that examines data-driven business models for the real estate and facility business. Professor Toni Ahlqvist is Research Director at the Finland Futures Research Centre, University of Turku. 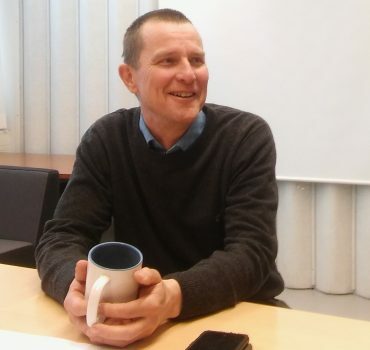 He is also an Adjunct Professor of Economic Geography and Technological Transformations at the University of Turku. His research focuses on futures studies, technology foresight, regional planning and policy, and spatial political economy. He has lead numerous research projects that have covered, e.g., emerging technologies, construction and uses of futures knowledge in organizations and regions, strategic development of industrial branches, such as forest industry in South Australia, and varied aspects of knowledge-based society. His most recent projects have dealt with potential societal antagonisms of radical emerging technologies and futures of land use planning in Finland. Prof. Ahlqvist’s research has been published in such journals as Technological Forecasting and Social Change, International Journal of Urban and Regional Research, New Political Economy, Geopolitics, Geografiska Annaler A: Human Geography, Space and Polity, Technology Analysis and Strategic Management, Futures, Foresight, and Science and Public Policy. 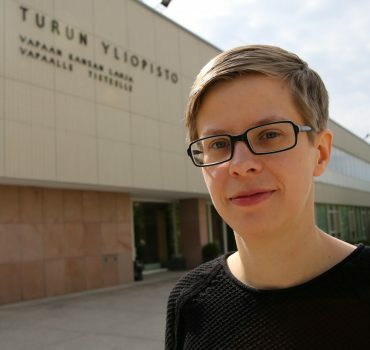 Hanna Luhtala works as a postdoctoral researcher in the Department of Geography and Geology, at the Faculty of Mathematics and Natural Sciences. Her research interests include coastal geography and marine spatial planning (MSP), with geospatial information playing an important role in her work. She is also involved in a project developing virtual geospatial information infrastructure for research in Finland, as well as in Digital Futures as a member of the young researchers group.Outside her daily work, Hanna is interested in data science and would like to improve her skills in programming and modelling.In her free time Hanna enjoys spending time outdoors or at the gym. Antti Karlsson is a theoretical physics PhD working as a data scientist at the Auria Biobank in Turku. He does a lot of data mining, visualizations, descriptive statistics and lately focused on text mining and natural language processing for extracting information from clinical texts. 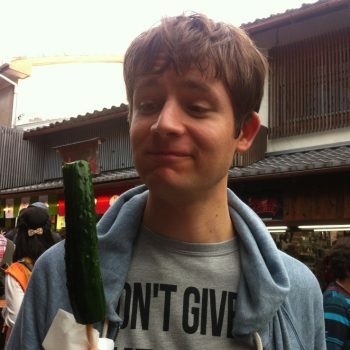 For DF Antti is a member of the young researchers group charged with running the DF website and community.Antti is originally from Rauma, did his BSc in Turku and MSc at the Perimter Insitute for theoretical physics in Waterloo, Canada. In his free time, he loves lifting weights, fishing, cycling and the outdoors. Some say that he also likes to read stoic philosophy and do recreational mathematics based on his quantum physics research. 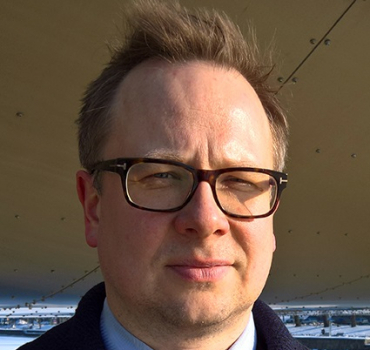 Matti Karinen is a Doctoral Candidate at the entrepreneurship unit conducting research on entrepreneurial universities as well as the platform economy and new forms of work alongside his doctoral project on ”Pathways to Primary Sector MNE Legitimacy”. For DF Matti is a member of the young researchers group charged with running the DF website and community.From London by birth, prior to his studies in Finland, Matti lived in South East Asia for almost ten years. He enjoys reading SciFi and has lately developed an interest in late roman and early medieval history. This he combines with troubleshooting recalcitrant computers (how those go together is anyone’s guess). 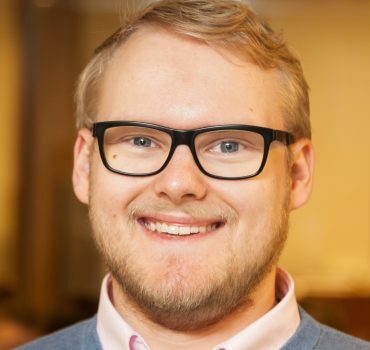 Samuli Melart is a Doctoral Candidate at the Faculty of Law and a member of the Digital Futures young researchers group. He graduated from the University of Turku (LLM) in 2017. His academic interests centres on the interplay between legal and technological developments in the information society, primarily in the spheres of intellectual property, private regulation and fundamental rights. Previously, he has studied in Estonia and Thailand. Outside academic world, Samuli concentrates most of his efforts on musical endeavours, building guitar amplifiers and raising his kids. Rest of the time is spent with “nerdy stuff” such computer games. 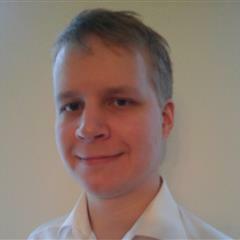 Samu Kurki, PhD, is a senior researcher / data scientist working at Auria Biobank, the first clinical biobank in Finland. 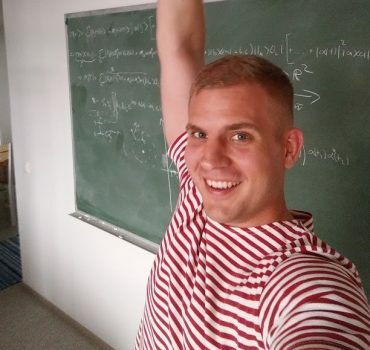 Samu did his PhD on theoretical physics, where he developed mathematical models to analyze the data produced at high-energy particle colliders, such as the LHC at CERN. Currently, Samu is doing multidisciplinary data science at the biobank, working with the clinical and biological data that is associated with the samples. The real value of biobanks both for academic researchers and for pharmaceutical companies is in the available data. Samu has years of experience on working with and integrating biobank and hospital IT infrastructure, and using clinical data for medical research and biobank studies. Samu’s daily work involves working in multidisciplinary teams to solve real-world challenges using the methods of information technology, programming, mathematics, statistics, and medicine. In his free time, Samu enjoys fencing, travelling, and photography. Carlos Gonzales-Inca (PhD), is postdoctoral researcher at the department of Geography and Geology. His current research focuses on geospatial data mining and modeling applied to environmental, climate change and health studies. The amount of geospatial and remote sensed data is increasing rapidly and new challenges and innovative approaches are needed to deal with the big data and integrating it with observed data. Carlos has a long experience analyzing geospatial data and working in multidisciplinary research team. He is continuously looking for cooperation with researchers from different disciplines interested in applying geospatial data and analyses to better understand the spatial-temporal processes of different phenomena and factors shaping them. 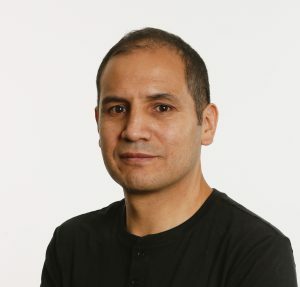 Carlos is currently working with two cross-disciplinary research projects: Digital future and BalticSatApp. These projects are oriented to foster the use of open geospatial data and the open satellite data of the European Copernicus programme.